Hi, everyone. It’s Heidi from One Creative Mommy. 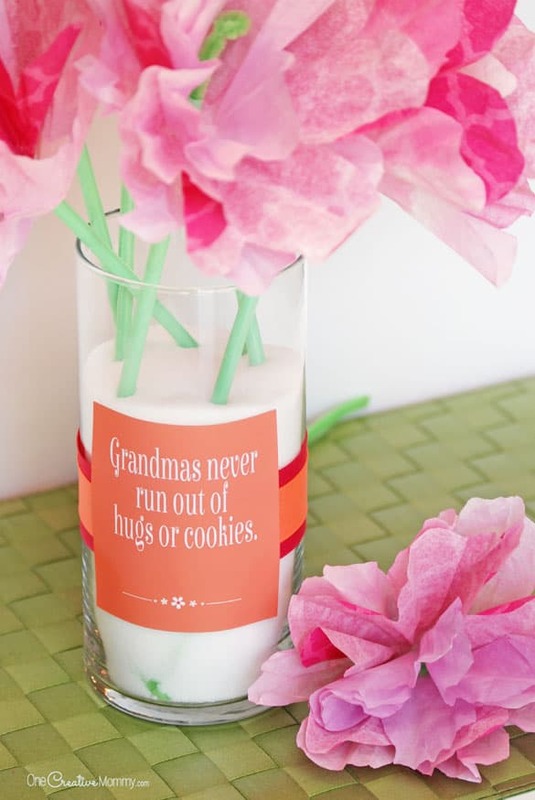 I’m happy to be here today to share a fun Mother’s Day gift idea and printable. Earlier this week, I shared a tutorial for these gorgeous coffee filter flowers on my site, and today I’m sharing some great printables to go with them. 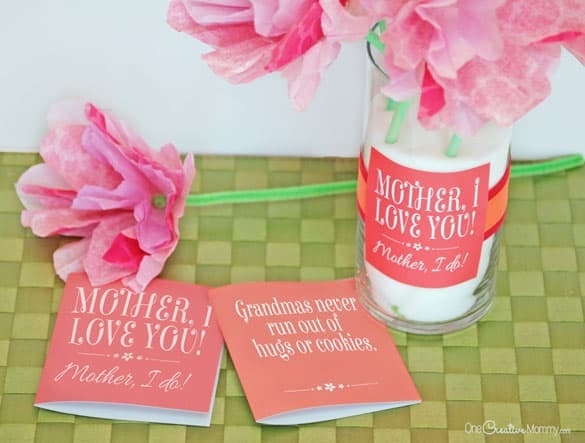 These fun mini cards are perfect for Mom and Grandma and the labels go great on a vase of fresh flowers or homemade paper flowers. If you’re ready to make your own project, head over to One Creative Mommy to download the printable. 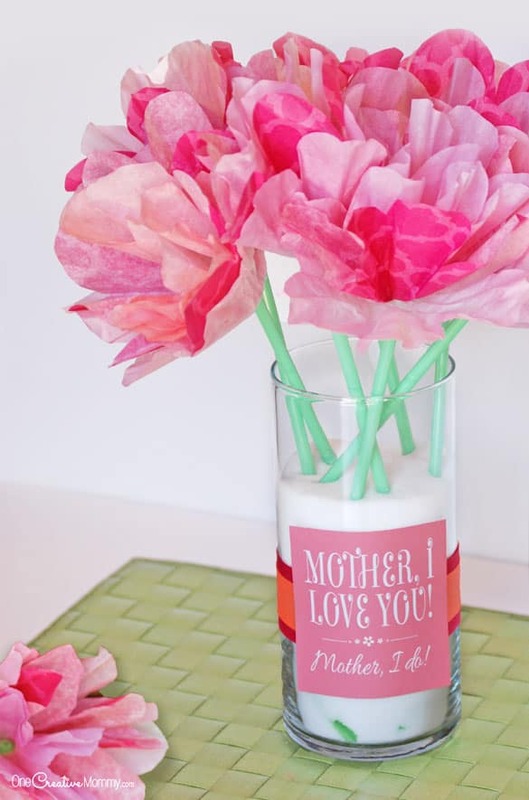 Need more paper flower ideas? 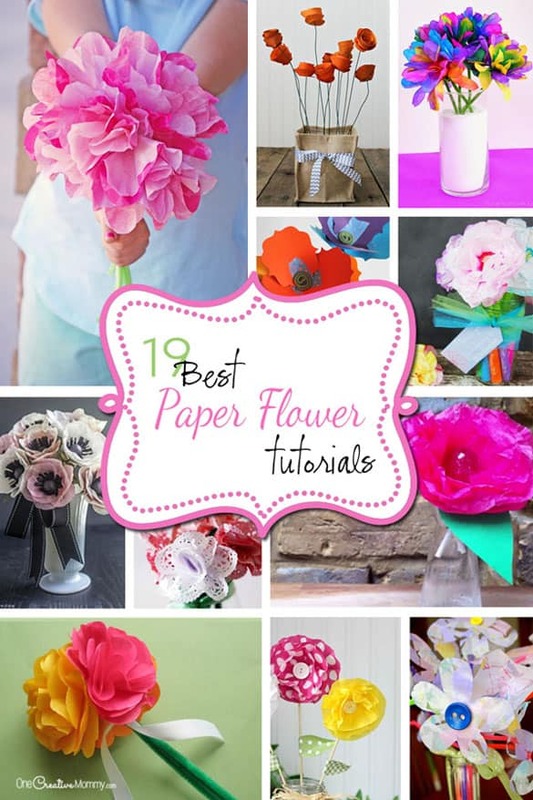 Check out these 19 beautiful paper flowers tutorials. It’s one of my favorite songs too! Pinned! Found this post through the Mormon Mommy Bloggers facebook page:) I absolutely love this! 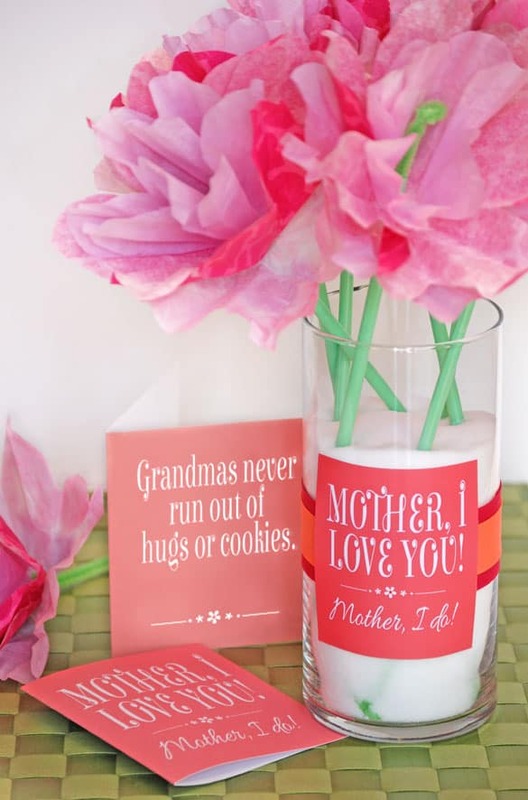 I’m currently in the primary presidency and these flowers and cards would be such a great thing to give out to the kids’ moms on Mother’s Day! Thank you so much for sharing and for the idea! 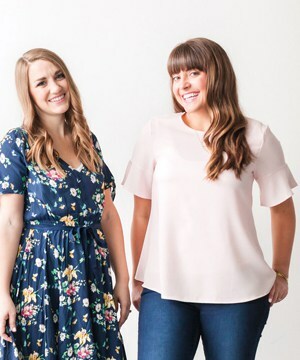 So glad to connect with you & your blog!